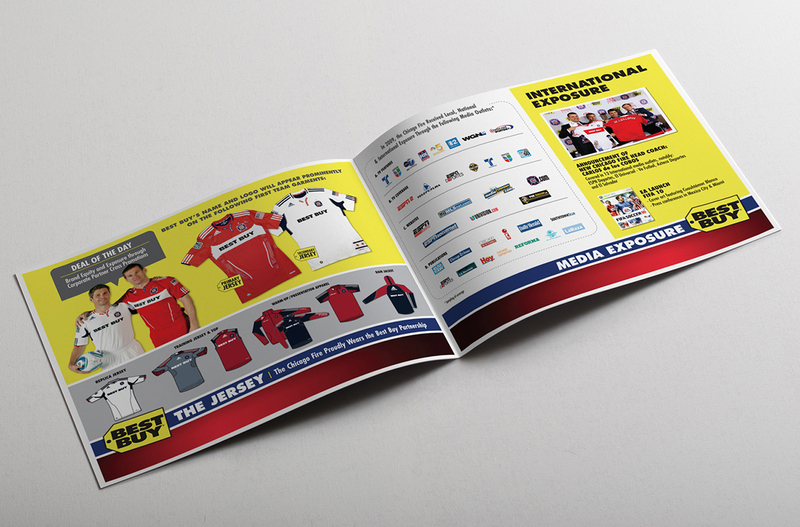 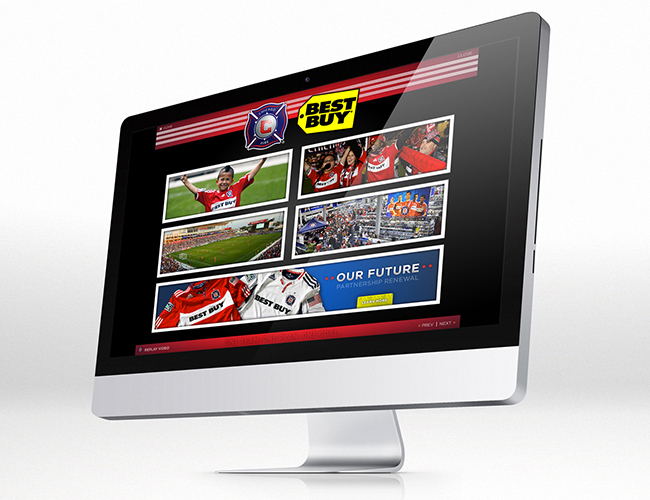 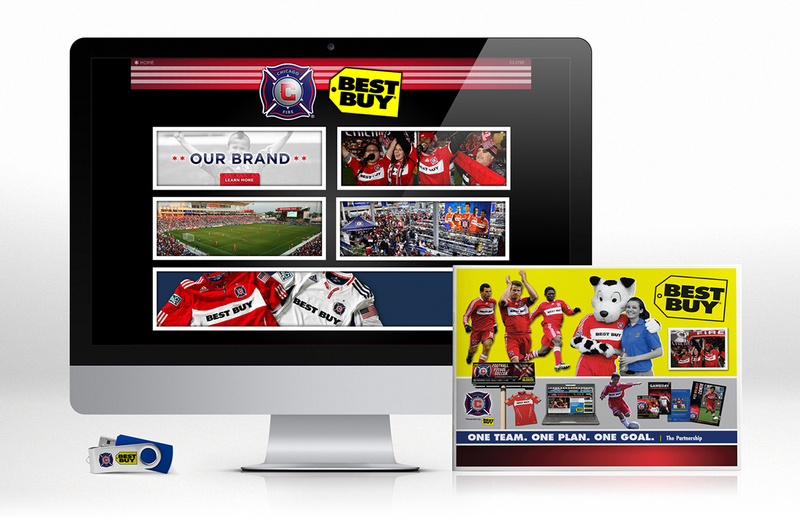 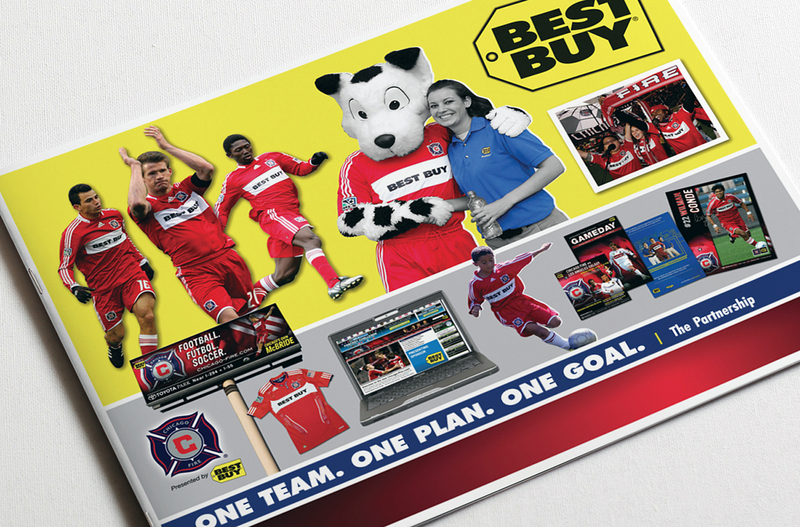 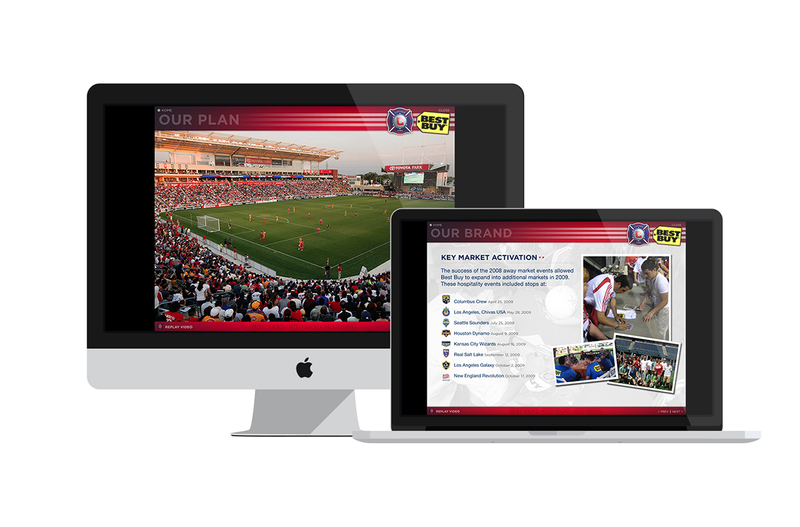 The Chicago Fire offered our creative team a challenge: to create a custom partnership presentation to convince incumbent jersey partner Best Buy to renew their deal for two additional MLS seasons. 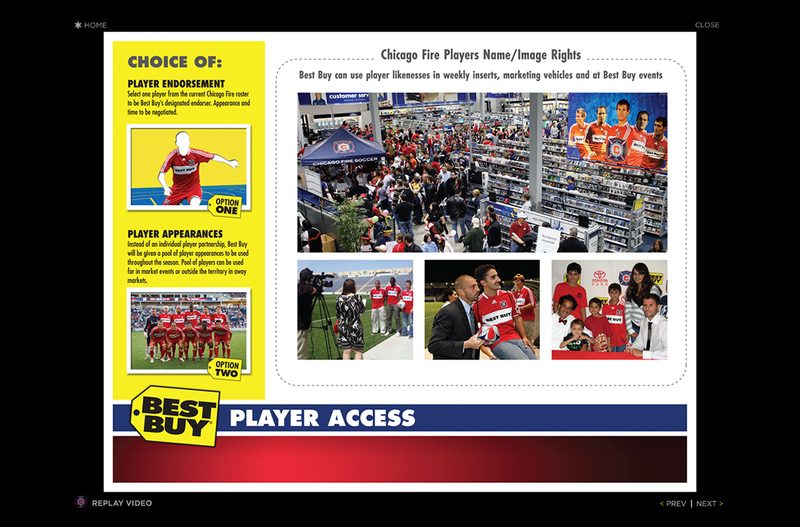 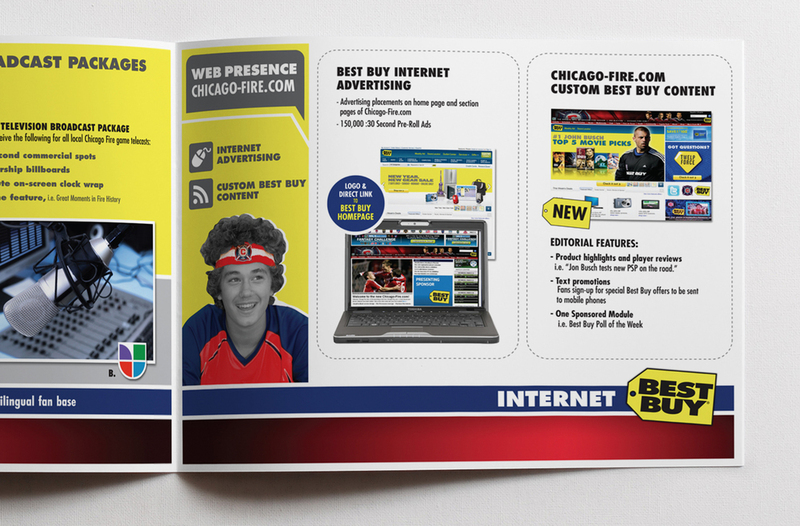 Our approach was to cleverly transform the traditional Best Buy Sunday newspaper free standing insert into an immersive engaging Chicago Fire visual case study detailing the benefits of the partnership. 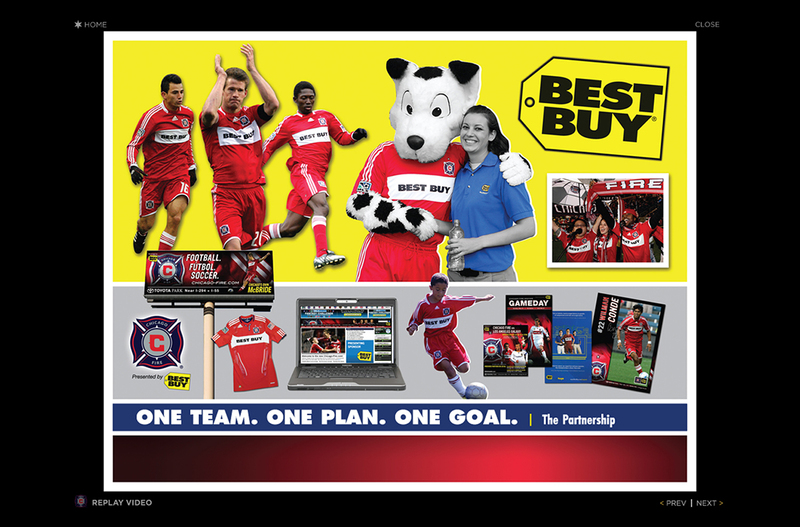 This showcased and highlighted the benefits that Best Buy gained with the Fire jersey partnership. 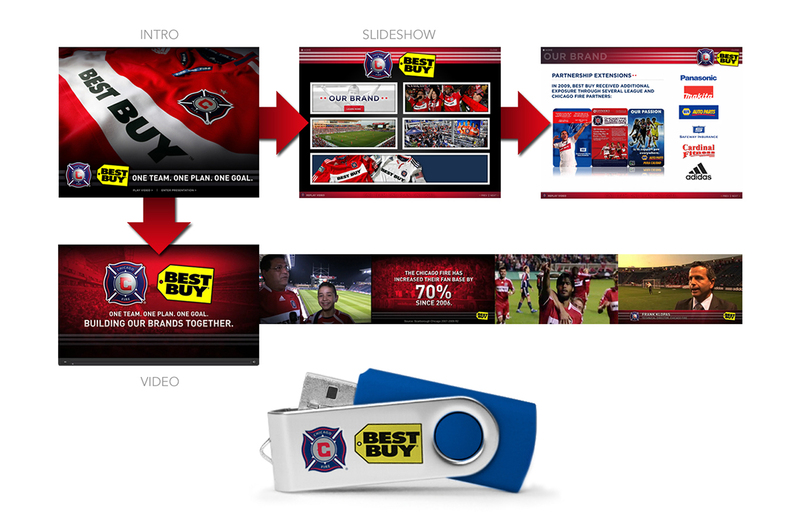 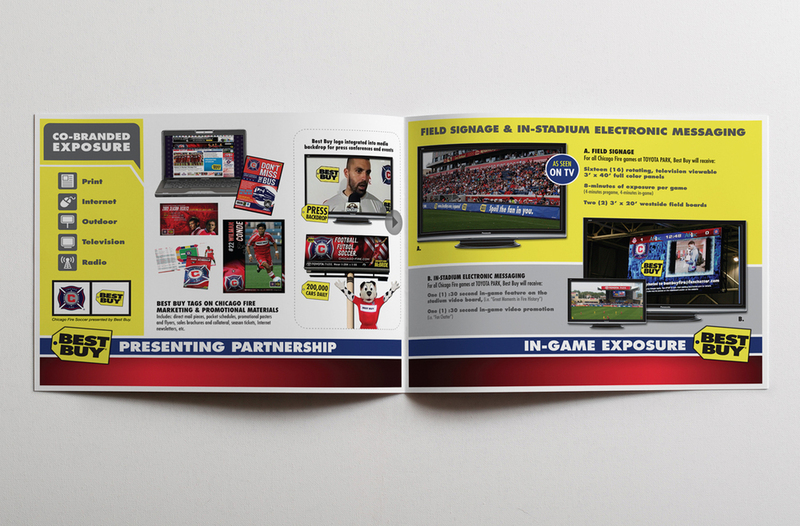 In addition to the unique free standing inserts, we created a high-energy partnership video recap, an expansive custom presentation, a print leave behind for Best Buy executives, and a custom USB drive which featured all of the club's content and included the key points for the next two seasons.